AMAZING PAIN RELIEF! I have experienced constant lower back pain from an injury ten years ago. In the past, I have tried chiropractic care, physical therapy, massage therapy, acupuncture, and cortisone injections. Each treatment provided temporary pain relief, but no long-term improvement. I had decided to live with it, until I experienced numbness down both legs and into my feet. I made an appointment at Hartwell Chiropractic because it was a local, in-network provider of my insurance plan. Dr. Hartwell took time to understand my injury and previous attempts to treat it. He adjusted my neck and spine, gave me a support belt to stabilize the affected area, and taught me exercises to strengthen the stabilizing muscles. I expected temporary pain relief, but two weeks later, the pain is STILL GONE! After feeling pain for almost every waking moment of ten years, it feels too good to be true. I can tell that my back is still weak, and I still experience occasional numbness in one foot, but I am highly motivated to continue the treatment and strengthening exercises recommended by Dr. Hartwell. I highly recommend Hartwell Chiropractic for anyone experiencing musculoskeletal pain. I wanted to write and tell you how grateful I am for all you have done for me. After being rear-ended, I came to see you for help. After a Neck MRI that you sent me for, you discovered a disk problem pressing on a nerve. With the combination of massage, spinal manipulation, home exercises and the referral for a neck injection, I made great progress. On my first visit to you, I mentioned as a side note that I was scheduled for knee replacement surgery. You asked if you could check my knee. When you did, you could tell that I did not need the surgery, but just some therapy. You provided a quick sample of the deep tissue therapy that day. I was amazed that I was able to walk out of the clinic that day without a limp or pain in my knee! The occasional treatments that I receive from you continue to allow that limp and pain to not return! Thank you for being so detailed and tenacious. In private, I call you Dr. Pit bull, because you do not stop until you find the answer. Recently I took a fall from being dizzy and blacking out. I had been feeling very fatigued, heavy headed, exhausted, and frequently dizzy. I had to go the hospital because of the fall. They couldn’t tell me why I was feeling like I was. They prescribed antibiotics. Dr Hartwell soon after determined that I was likely dealing with adrenal exhaustion from being stressed over my dad’s health issues. He put me on an adrenal glandular supplement. After just a couple days I could tell a huge difference. No more dizzy spells or naps needed. After struggling with some past injuries that have been creeping back on me as the years pass by, I decided to try and reclaim some old territory. I went into the clinic with sciatica, a knee that was giving out, neck and shoulder pain and stiffness, sinus congestion, and annoying gastrointestinal issues. Dr. Hartwell and the staff have addressed each of my problem areas and as a result I have made progress and/or elimination of each specific issue far beyond my expectation. I’ve just finished the book “wheat Belly”, Dr. Hartwell recommended and am working towards a nutritional program that is already producing results. I look forward to my maintenance visits, the experience of feeling better, and the improved quality in my health. Thank you, Dr. Hartwell and all your professional staff. Recently my friend Kate Y. recommended I go visit Dr. Inkrote to treat my back and neck pain. I trusted her recommendation and scheduled an appointment at Hartwell Chiropractic. When I arrived, I was surprised by the amount of care and beauty that I found at the office. I thought I would write to you in order to express my admiration of the way your run your practice. First, I noticed the intentional kid's area and its smart placement in the small corridor to the side of the waiting room. If I had children with me, I would have been set at tease to let them play or read in that little nook. Next, I noticed the coordinated and expressive décor. Someone had obviously been very thoughtful and intentional about decorating with a healing theme. As I spoke with the receptionist, she warmly greeted me and gave me the initial paperwork to fill out. I noticed that this clipboard also included well-written insights about chiropractic care. These facts gently corrected some of the misinformation I have gathered over the years. In the waiting area, there also were books on healthy living readily available. Once I was ushered back to the exam rooms, I was delighted to meet Dr. Inkrote. She was intentional about listening to my reports on my pain; she knowledgably treated me and explained the process (for I was curious at each step); and she made pleasant conversation along the way. Thus, on my second visit, I felt like I had a cordial relationships already begin. Since my two visits, I have experienced a noticeable change in my back and neck health. I have begun incorporating the recommended stretches and rubs and have had much lower occurrences of muscle pain and headaches. It was my delight to visit Hartwell Chiropractic. Thank you for running your practice with such standards of beauty and care. I plan to visit again when I need additional treatment and will highly recommend your office to others in my circle of influence. I just wanted to take a moment to thank you and your staff for providing me relief from my neck and back injury. In 2004, I was diagnosed with bone spurs in my neck and degenerating discs. I’d been able to manage this condition and enjoyed exercising every day and playing on two tennis teams. In June, I lifted several heavy boxes and it caused my neck pain to flare up to an unbearable state. The MRI showed what I already knew, bone spurs and restricted nerve channels. The pain was constant and over-the-top and I could not even lie down. I slept in a chair for three weeks and I was trying to reduce the inflammation with ice and Advil. I finally got some relief when my doctor prescribed 800 mg of Advil three times a day. I did this for a week and it calmed the inflammation. During this time, I was going to physical therapy and was not getting the results I had hoped. I even had two acupuncture treatments, which seemed to calm the muscles a bit. The doctors and physical therapists stressed that this would take time to get under control, but I was beginning to get discouraged. My condition was debilitating. On August 27th, I started treatments at Hartwell Chiropractic. Although I was beginning to feel better, I was still having issues sleeping and could not get up without tremendous pain. I appreciated the time Dr. Hartwell took to listen to my concerns and tailor a treatment to fit my condition. My chiropractic sessions consisted of an hour deep tissue massage, ultra-sound and a chiropractic adjustment. After 4 sessions, I was able to sleep in a bed again. By September 17th, I’d had six sessions and was now sleeping through the night and starting to resume normal activity such as washing windows. It’s now December and I’m back playing tennis and normal activities. I need to be careful lifting, but my condition is manageable. I continue to do the stretching exercises prescribed and I take ½ a Tylenol if needed for pain. Bottom line, in August I could not sit up without help and under tremendous pain, and now I’m back to my everyday activities. My husband saw these results first-hand and he is now convinced that Chiropractic Therapy can play an important role in recovering from injury and chronic pain. Your administration staff worked with my insurance and I found the billing process simple. My thanks to you and your staff! Since my teen years, I have experienced chronic, debilitating migraine headaches. Over the years I have seen numerous specialists in varied fields and taken countless medications. After deciding to go off of the most recent preventive medication due to the negative side effects, I was once again suffering terribly from the migraines and feeling so discouraged about this health issue. It was at this time that a dear friend recommended that I see Dr. Hartwell. From the very first visit, it was clear that Dr. Hartwell was different from the other doctors I had seen. After years of 15 minute rushed appointments, I was so touched by the time Dr. Hartwell took to get to know me and my complete medical history. I remember thinking to myself that this is someone who truly cares about his patients and feeling hope that he would finally get to the bottom of this issue for me. At Dr. Hartwell's suggestion, I cut gluten out of my diet and I've been completely migraine free ever since. Once the migraines stopped, I noticed that the neck and back pain that I thought was part of the headaches lingered, and Dr. Hartwell's diligence led to the discovery that I have arthritis in these areas. Now we are managing the arthritis through a combination of chiropractic care, massage, physical therapy, and dietary changes. For so long I have missed out on special moments and activities with my two young daughters due to pain. I feel so blessed that I found Dr. Harwell and that I can now enjoy an active, healthy life with my family. About 4 months ago, I began experiencing a lot of pain in my shoulders and upper arms. I was beginning to have trouble walking up stairs and having great difficulty standing from a seated position. I felt as though I were lifting the Empire State Building. Often I had to rock back and forth a few times to enable myself to stand. Dr. Hartwell was highly recommended to me by several friends of mine and I have found him to be a wonderful compassionate, intelligent, and caring Christian doctor. He identified a number of problems with my spine and through his bi-weekly adjustments has made a tremendous difference in my walking, standing and sleeping at night. I have received several personal phone calls from him checking on my condition and have observed his going “above and beyond the call of duty” to help solve my issues with pain. All of his office staff exhibits the warmth of love and concern as well. Thank you, Dr. Jeff, for the wonderful help you have given me. In 2007, I was already being treated by Dr. Hartwell for neck and shoulder issues. After returning from a wonderful trip to welcome a new grandchild, I began to have serious joint pain which quickly became whole body pain and weakness. I continued to see Dr. Hartwell, who thought at first it might be fibromyalgia. He researched, sent me for tests, prayed with me and for me, and did everything he could to find answers. I also saw a naturopath, G.P. and a rheumatologist. The care at Hartwell Chiropractic Clinic was more help than any of the others. Dr. Hartwell introduced me to oxygen therapy that helped with the pain, and gave me information that led me to the supplement that took away the pain. I believe the ongoing chiropractic care kept me limber and as well as possible through this 18 month process. Everyone at Hartwell Chiropractic is patient and kind; very important to a person in pain. As I mentioned, neck issues first caused me to seek chiropractic help. For years, if I carried heavy things or did certain household tasks, my head, neck and face would explode in pain so intense it caused nausea and vomiting, and I’d be sick for a couple of days. After a period of time of ongoing treatment, those symptoms disappeared and I am free from that! Today, I am on the wellness plan and doing very well. I have had back problems for many years starting with a herniated disk back in 1993. I have been to many different chiropractors, physical therapists, acupuncturists, and massage therapists. Without question Jeff Hartwell is the very best Doctor that I have ever been to. He works hard to figure out what the problem is and then to give you the PROPER care in treatment. He genuinely cares about his patients. Hartwell Chiropractic is exceptional. His massage therapists are about as good as it gets as well. I give Hartwell an A plus. My name is Kalinnik K. and I job shadowed Dr Hartwell on February 18 from 10:30 to 12:30. I would like to thank you for letting me job shadow you. It was a great experience that will influence my future career decisions. Being a chiropractor looks not only very challenging, but also interesting. I learned that being a chiropractor is more than just doing adjustments. You must be able to know about all different types of vitamins and how they help people. It was a great experience for me and it meant a lot to me. It will influence my career decision to become a chiropractor in the future. Thank you for the experience and I hope to open up my own clinic one day. I came in for a job shadow on February 17th. The job shadow was from 10:30 to about 1:00 pm. I think it is great how you (make sure) your employees get a lunch break. I observed you as you treated patients. One thing I found interesting was how you can treat patients without them having to take drugs or get surgery. You could also find muscle tension and soreness just by the feel of your hand. What also caught my eye was how you can even treat a person who has a cold/flu with a simple adjustment and the patient feels just that much better. It was also interesting to see how you crack your patient’s necks and backs. This was quite the experience for me. It was great to see what your job is like and the requirements and specific standards you took when getting into this career. Even if I don’t become a chiropractor, it was still nice to know what to expect if I ever do get into the chiropractic field. For nine years I suffered extreme all over body pain from an auto accident. I had a cervical fusion which helped very little. It wasn’t until I started chiropractic care that the pain was relieved. Dr. Hartwell suggested trying Oxygen Therapy and Brain-based Therapy. It was amazing! I have not felt this well for so long. It not only helped the pain but also it helped the “brain fog” that I had. I feel like I am almost normal again. I wish I could express in words how much the care at Hartwell Chiropractic has helped me. From age 10-15 Kyle suffered from chronic weekly migraines which were accompanied by dizziness, paralysis on one whole side of his body (from face to feet). He would slur his words, have blurred vision, throw up, be disoriented and unable to remember who or where he was, his name, or his age. Since chiropractic care, Kyle has not even had a mild headache or episode of his other symptoms. He has been completely headache free since his second visit to Hartwell Chiropractic. It has been over 4 months now and we have been so blessed to see our son finally migraine free. For years, other doctors took many tests and couldn’t find what was wrong or tell us why this was happening to our son. It just proved that other methods of medicine are good to look into. I had a blind spot in my right eye and constant pain in the left side of my neck and upper back. My eyes constantly ached and I had intermittent pain and limited mobility in my neck. After chiropractic care the blind spot went away, and all other symptoms have decreased and or disappeared altogether. The mobility in my neck has increased substantially. Initially I was apprehensive about going to a chiropractor. But I was feeling better within a few treatments. I pulled a muscle in the small of my back. It was so painful I could only bear the pain when using pain pills. This only gave some relief. I was no better after two weeks of following the emergency room doctor’s recommendation of medication and rest. The first day I tried Chiropractic care I got relief from the treatment, and progressed very much each day thereafter. This was with no further treatment and little or no medication. Hartwell Chiropractic has my highest recommendation because of my results. This was my first experience with chiropractic care and I’m very pleased. I just can’t say enough good about my results. Very happy. I was in such terrible low back pain that I couldn’t manage without Advil all day every day I couldn’t sit, stand or walk without severe pain. Bed rest, ice and heat did not help at all. Having injured my back 30 years ago, I have suffered through “event” triggered episodes. But the past several years before chiropractic treatment I hurt all the time. 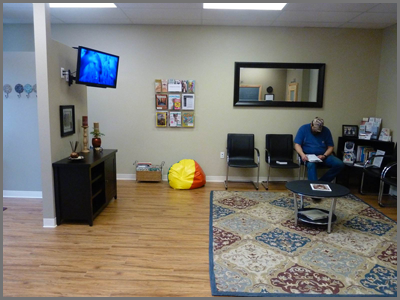 I felt so very much better after the first visit to Hartwell Chiropractic Clinic. I had a massage and a back adjustment. I could manage the pain better. After the second visit I quit taking Advil! About 3 days after my initial visit I almost felt 100%. I could walk, and sit and stand without severe pain. The Doctors and staff including the massage therapists are extremely nice and I have never felt rushed or abandoned.